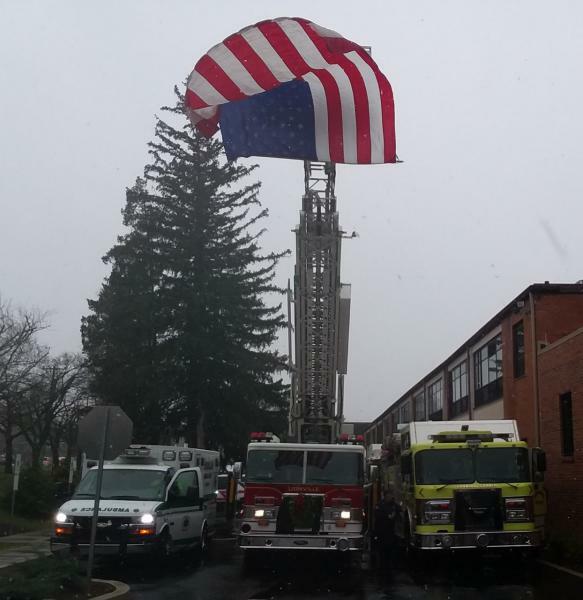 On Friday, March 2nd, despite the nor’easter that was sweeping through the area with heavy rain, wet snow and high winds, The Gramling Family, along with the Lionville Fire Company, the Ludwigs Corner Fire Company, Uwchlan Ambulance, other agencies and personnel offered a final salute and farewell to Fire Police Captain and Life Member, Joel Gramling. Many gathered as The Gramling Family offered fond remembrances of Joel, readings and testaments of his enduring faith as a husband, father and friend to many, as well as his 45 years of service to the community. Joel will forever be remembered as the man who was always there when someone needed help or when something needed to be done to make things right. The Lionville Fire Company thanks and appreciates Joel Gramling, and his family, for 45 years of service and a job well done! Rest in Peace Joel, we’ll take it from here….